Servicing Areas - All Air Appliance Masters, Inc.
Our main offices are based in the heart of the Inland Empire and we have been operating here for over 30 years. We are the leader in San Bernardino when it comes to air conditioning and heating service needs. We also have our office stocked with many of those hard to find replacement parts available for purchase. Riverside County is All Air Masters most serviced county 15 years and running. 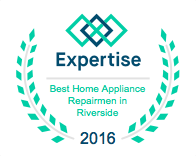 The majority of our service technicians reside in Riverside County allowing us to meet all your air conditioning and heating needs. All Air Masters began in Los Angeles County and has been an air conditioning and heating leader for this area for over 30 years. We are happy to provide you with our technicians that live in the LA area do you can set appointments that work with your schedules. Morning or Evening. All Air Masters has been servicing Orange County's HVAC needs for over 30 years. We actually have many service technicians who reside in the OC area so morning and evening appoints are, of course, available.